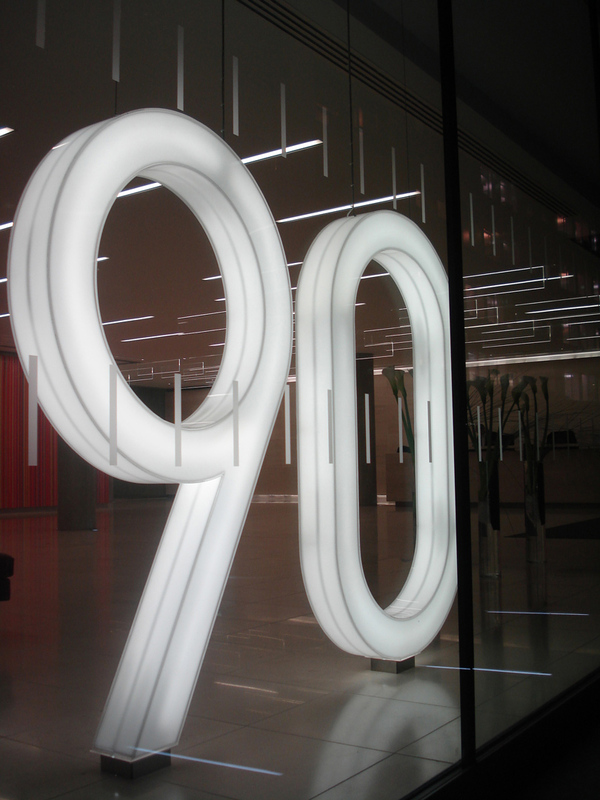 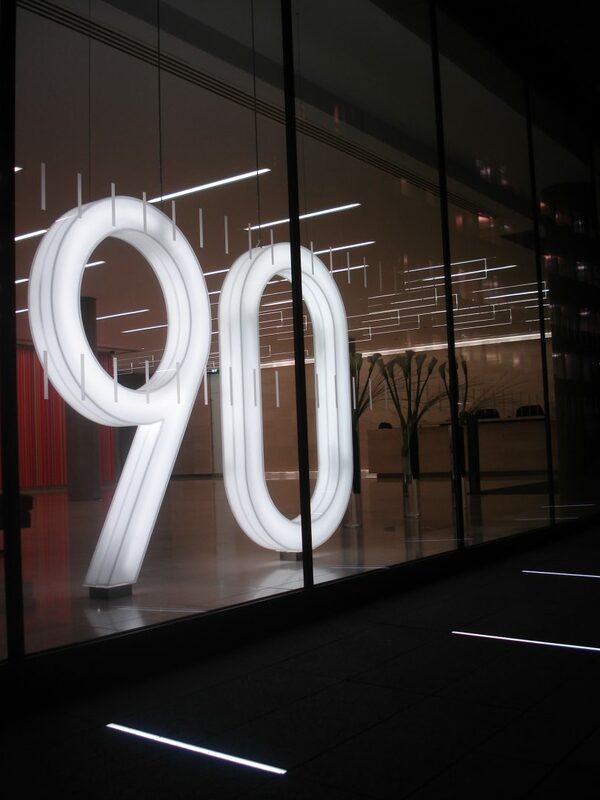 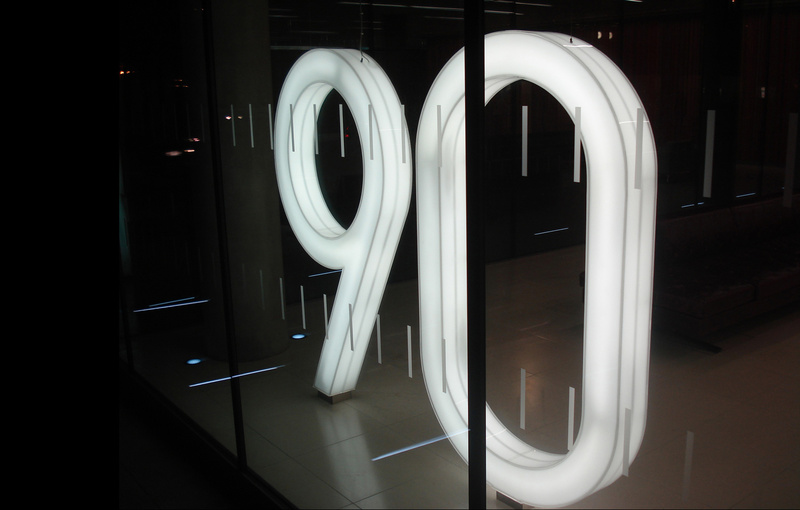 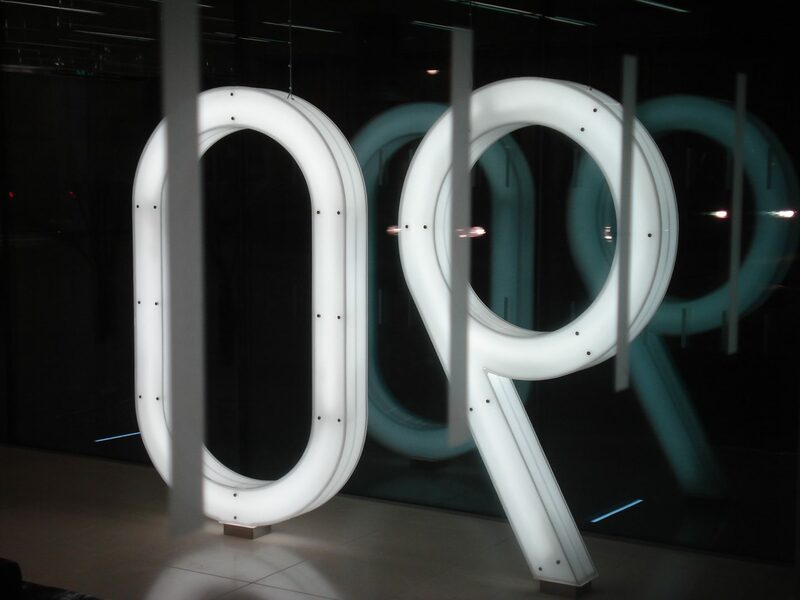 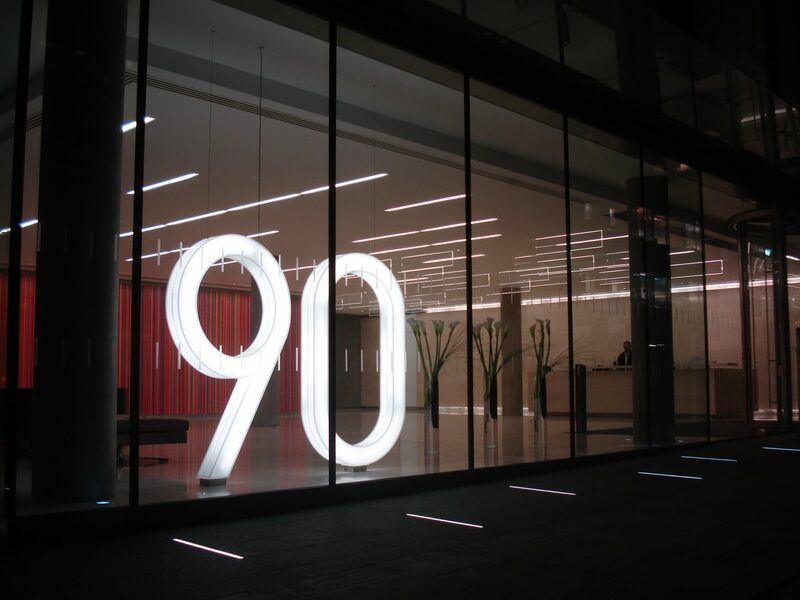 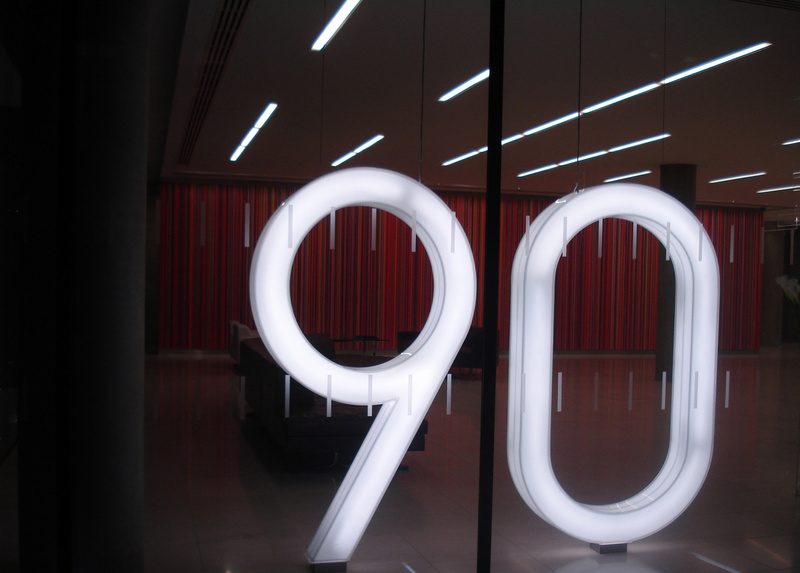 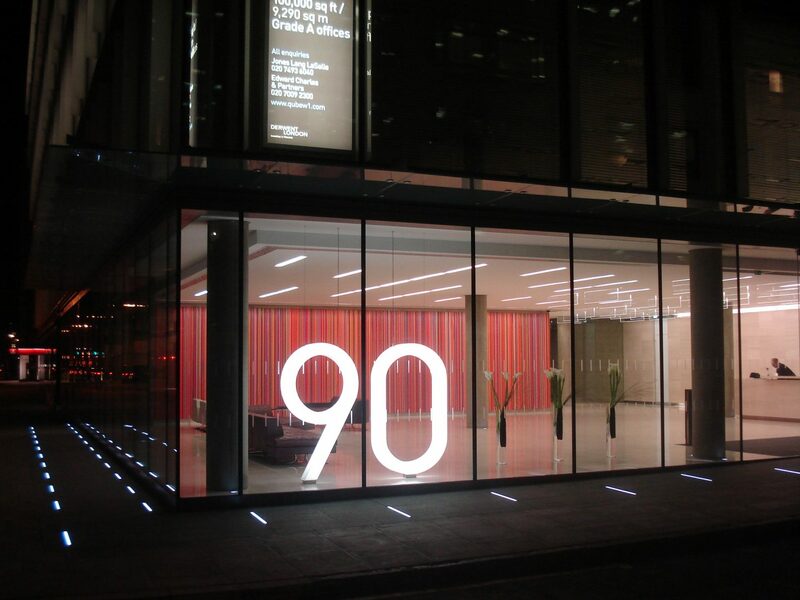 The Light Lab designed & manufactured an illuminated number 90 with a 360∞ illumination incorporating minimal visible support cabling to give the sign a floating effect. 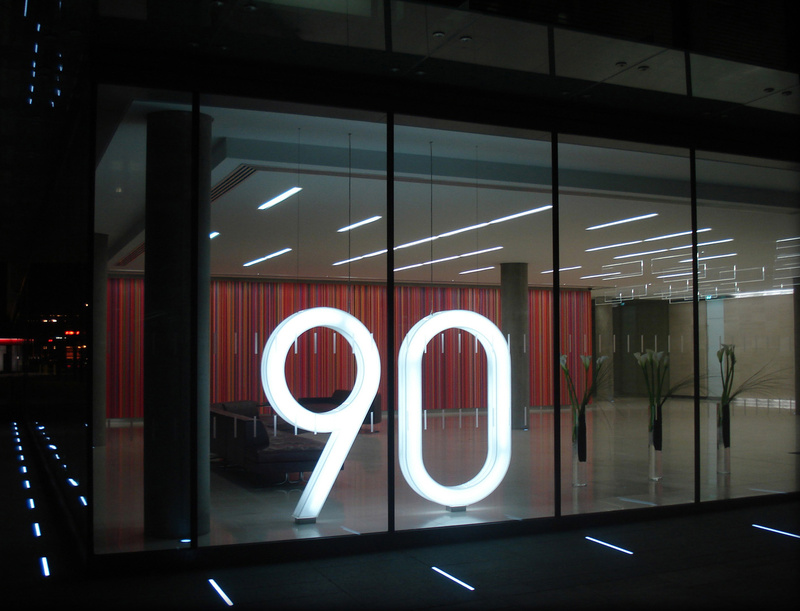 We created a double layered curved and bonded acrylic shell with internally mounted cold cathode on a clear structured plinth. 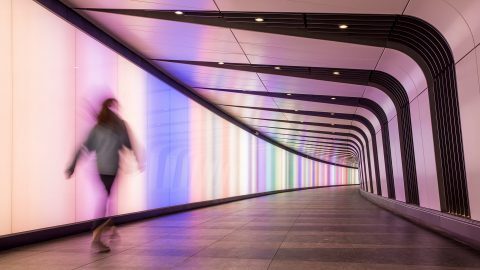 Suspended from a ceiling with high tensile strength S/S cables.